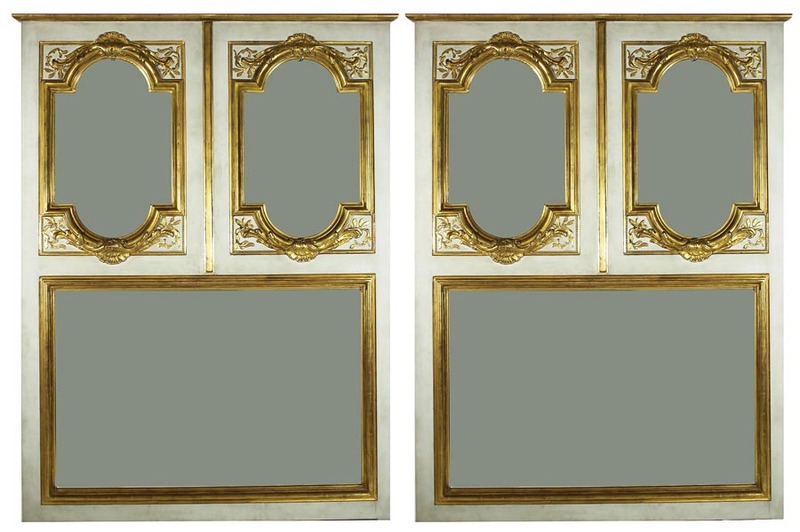 A Fine Pair of French 19th Century Louis XVI Style Laqué and Parcel Gilt Three-Section Trumeau Mirror Frames. 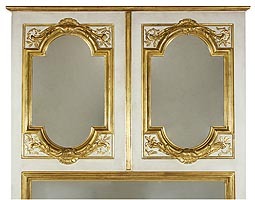 The upper part with a pair of domed framed with an ornate gilt wood carved design surmounted with leaves and crowned with a shell. 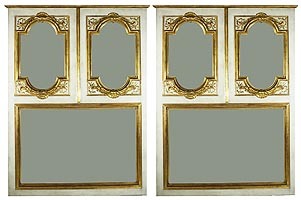 The rectangular lower panel framed with a gilt wood trim. 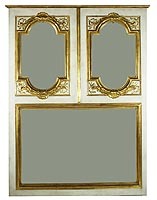 The cream/white background topped with an gilt wood molding. Circa: Paris, 1880.